DURING RECOVERY: Fast forward to October 2018, Wes shared his story with over 400 guests as the Mission Moment speaker at Pathway’s 7th annual Masquerade Ball. His mom, Jane watched with tears of joy as he announced his two years of recovery and his new career that began after he was sought out by the CEO of a company. Wes told the guests about recently signing a lease for his first apartment at Pathway-6 and how he was sponsoring guys new to recovery. He beamed when talking about his role of “daddy” to his 5 year daughter. His speech was being filmed by Thomas Lewis and a film crew from IUPUI. Thomas is producing a documentary about Wes’s life to raise awareness about the opioid epidemic. And if all that wasn’t enough, Wes shared his passion with running; something he discovered in early recovery via Pathway’s partnership with “Back on My Feet”— a program that combats homelessness through running, community support and employment resources. On October 20th, the day after Wes spoke he took 1st place in the Marion University 5k while his mom cheered from the sidelines. He was on top of the world and things couldn’t have be better. EVERYTHING CHANGED: On November 9th, Wes received a call that changed his life forever. His mom Jane was in an accident. She died instantly from injuries sustained by her seat belt. Wes’s life was transformed from a race into an uphill climb where he now had to trudge through quicksand made of grief. His recovery was put to the ultimate test, but thankfully, his foundation has proven to be a strong one. TODAY: Wes continues to use the tools he learned in early recovery while relying on his support network. 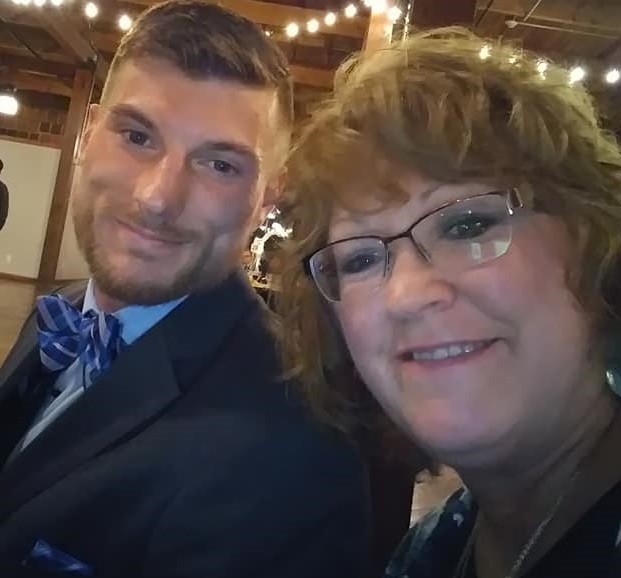 Instead of regretful, Wes is grateful – grateful his mom was able to see him clean and sober with a new life. On the morning of November 8th at 7:43 am, Wes texted his mom, “Good morning! Have a good day!” She replied, “Have a Good Day. Love you. You made my day!” Wes replied, “Love you!” Those were their last words. Recently Wes was doing his morning run and ran past people standing in line at the mission. He said, “I recognized some of them and couldn’t help but wonder if they recognized me, as well. I stood in that same line”. Wes plans to qualify and run the 2020 Boston Marathon in honor of his mom. Together— We made a difference. A mother was able to see her son healthy and happy and a little girl has her daddy back. We couldn’t have done it without you. You matter to us and you matter to Wes.